Who Uses Non emergency Transportation? An ideal candidate for non emergency transportation is a person who is medically stable, yet still requires medical support. For example, a resident of a nursing home who has recently been released from the hospital could use MEDCOACH to return to the nursing home. During the trip, the nurse monitors the patients condition and responds with appropriate medical care. Or perhaps a chronically ill patient might need medical transportation to get to a specialist in a distant location. 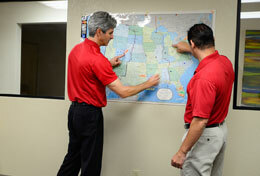 MEDCOACH utilizes a fully-equipped motor coach for long distance patient transfer. MEDCOACH can also be used for leisure travel with a medical companion such as a nurse or caregiver. It is a great alternative to an air ambulance medical flight. MEDCOACH provides a non emergency patient transfer service without extending beyond your budget. 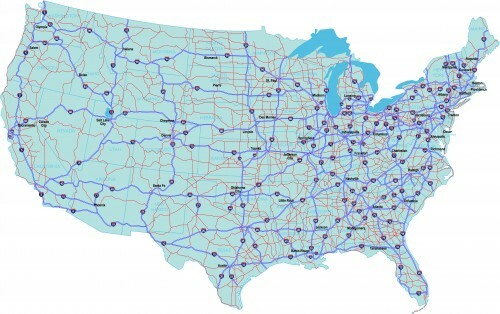 We cover the entire continental United States with long distance, non emergency transportation. We are one of the top rated and trusted long distance medical transportation providers who has over 30 years in our industry. Contact us today for quotes or questions on any of your long distance medical transportation needs. When you choose us as your non emergency transportation provider, rest assure you are in good hands. We provide highly skilled and experienced nurses that will care for your patient’s individual medical needs throughout the trip. There is never a moment you are unattended and we make your trip a comfortable environment. Call or email us any questions, comments or concerns you have with choosing a non emergency transportation company. 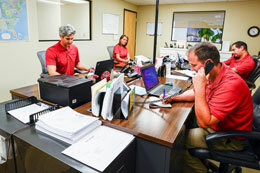 Our medical transportation coordinator team has more than 30 years of experience, and only uses professional drivers with outstanding safety records. Experienced Professionals – Medical transportation coordinator team that has over 30 years of experience, and only uses professional drivers with outstanding safety records. Medical Nurse – Highly skilled and experienced nurses that will care for your patient’s medical needs throughout the trip. Privacy & Convenience – Motor coaches that feature a comfortable ride in a hospital-type bed, and private bathroom. Dietary Considerations – Nutritious meals provided with special diets available upon request. 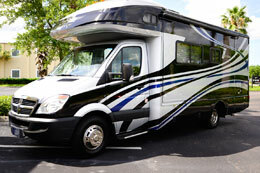 Non-stop – Your Private motor coach travels non-stop (except for fuel stops) throughout the night. Personal Belongings – The patient’s personal belongings can be stored in the Med Coach. Our policy states that all luggage may be inspected and must be approved by the operations manager. Bedside-to-Bedside Service – From the patient’s current bedside to the bedside at the destination, an experienced medical transportation team carefully handles the entire process. We save you the time and trouble of shopping around. Non-emergency transportation is for patients who require special medical attention while in transit from one location to another, but do not require medical intervention, treatment or rapid transport to an emergency facility. MEDCOACH is a long distance non emergency transportation service; however, we are not a Medicare or Medicaid provider. MEDCOACH is the perfect alternative to the air ambulance, and is a service of the Med Transport Center.